The massive Dyson Sphere Golem exists at one of the AI planets, and is basically a massive fortress that will attack humans and AIs alike. However, if you free the planet from the AI, the sphere will realize your benign intent and will help you fight the AI on nearby planets. If you take the planet for yourself, the sphere will attack you until you give up the planet. This Minor Faction adds a single Dyson Sphere Golem somewhere in the galaxy. It is only available on maps with at least 30 planets. The Dyson Sphere itself is immobile, indestructible and has no weapons, but it spawns Dyson Gatlings that can cross wormholes to fight for it. The mood of the Sphere depends on who controls its planet. At game start, the planet is controlled by the AI and the Sphere is neutral (its gatlings attack both AI and humans). When the planet is freed and controlled by nobody, the Sphere is friendly (its gatlings attack only AI). When the planet is captured and controlled by humans, the Sphere is hostile (its gatlings attack only humans). Freeing and not controlling the planet of the Sphere is obviously the better choice. By not controlling the Dyson Sphere's planet, players forfeit one Energy Collector (per player), the Metal deposits here and one Supply source. Knowledge can be gathered normally and provide the usual payoff for the AIP increase. Supply can be brought to that planet by capturing at least one adjacent planet, allowing the construction of Turrets and other defensive structures if required. Also, as a neutral planet, the AI won't be able to send Wave against it. If there are capturables on the Sphere's planet that players desire, they can capture it for a very brief time and scrap the Command Station just after its completion; only a handful of hostile gatlings must be dispatched and the Sphere will return to a friendly mood. All in all, the neutral and hostile moods will have barely no impact on the game and that Minor Faction might be seen as almost only beneficial. 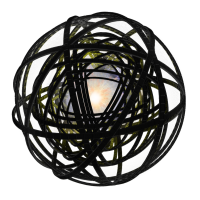 The Gatlings spawned by the Sphere are either neutral, hostile or friendly depending on the mood of the Sphere itself when it created them; their outlining color is a clue of their stance. Changing the mood of the Sphere doesn't change the mood of the spawned gatlings, however. Neutral gatlings attack both AI and players, hostile gatlings only players and friendly gatlings only AI. As the gatlings can cross wormholes, if the Sphere is friendly and connected to players' territory, many friendly gatlings will roam this territory, providing a substantial help against waves and other unpleasant guests. If the Sphere is hostile, its gatlings might as well invade other players' planets. For details on the behavior of the Dyson Gatlings, see their dedicated page. Note that the AI consider neutral Gatlings as a threat and, with time, may reinforce the Sphere's planet with lots of ships. As the Dyson Sphere does have its own concerns, it spawns Dyson Gatlings in response to how much attention the AI is giving the galaxy. In other words, the maximum number of Dyson Gatlings alive at once is equal to the current, effective AI Progress value. The Faction's intensity, as set in the game's lobby, influence the rate at which the Gatlings are spawned. The quantity spawned per minute is roughly equal to the intensity, however not precisely. For instance, an intensity of 1 seems to spawn one Gatling every 80 seconds, approximately. Hostile Gatlings still spawn at the same rate, but each pulse creates 5 of them instead of just one. The AI has a way to interact with this Minor Faction. This might be considered a spoiler; to see it, click the "Expand" button. If the Advanced Hybrid Hives AI Plot is enabled, a super-hybrid will spawn that can build a "Dyson Antagonizer" on the Sphere's planet to make it spawn hostile gatlings. If the plot is set to maximum intensity, the Antagonizer will morph into the Dyson Converter, which if it's not destroyed in time, it will permanently subvert the Dyson Sphere into an ally of the AI, making it permanently hostile to humans. This page was last modified on 30 October 2018, at 15:37.